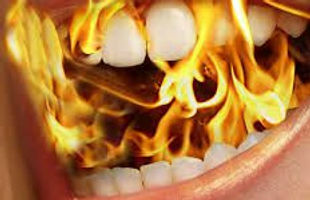 As you know, I have been dealing with Burning Mouth Syndrome for far longer than I ever thought possible. I know there are those of you who are entering or have passed your second decade with this chronic pain and my heart goes out to you. All of us who have dealt with BMS know that stress just makes it worse. We have seen the pattern again and again, and yet, life goes on. I have decided to run for a local, elected office. 8 years of chronic burning pain. The anniversary has passed, and so we start on the 9th year. Many of these posts that follow this one first appeared on another blog I have called, “Kali’s OQM Musings,” that explores the parallels between parenting and management, along with some personal life writing. If you are interested in those topics, feel free to check in! Burning Mouth Syndrome became a very popular topic on that blog, and it was suggested that I break these posts out into their own venue. My goal is to share some of my journey with this mysterious, and incredibly persistent syndrome, and perhaps to help you along the way. Stop in any time, comment if you wish, and if there is a question I can help you with, I will be happy to do so. Pain Puzzles – How Long to Solve Them? As many of you know, I am very close to the 8th anniversary of my second bout with Burning Mouth Syndrome. A friend I made on the Burning Mouth Syndrome (BMS) Facebook group page named Dennis and I have stayed in contact even after I left the group. May 2016 will officially be 8 years of burning. – No celebrations are planned. If you have check ed into this blog from time to time, you have seen me try all of the medicines and supplements and coping techniques that have come my way or been recommended by any of my Neurologists (three, so far).